Make VoIP calls directly from the company phonebook! GroupWare Connector is compatible with the latest Outlook 2007. 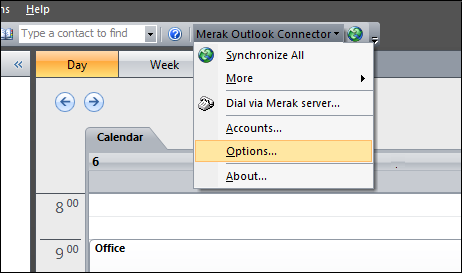 User can synchronize all data, dial numbers through VoIP Server, manage AutoResponders, change password..
GroupWare Connector allows users to view the complete GroupWare structure via MS Outlook Client and vice versa, any folder structure created within Outlook is reflected in GroupWare Server. Its repository now supports every Outlook item allowing to use all Outlook features to the limit.